Here’s a brilliant article inside the mind of cycling champion, Sir Bradley Wiggins, and I couldn’t agree more with his thoughts on what it takes to be a champion. Sir Bradley had that focus on his goal from an early age. If there’s anything in life you want to achieve no matter how far away it might seem, having that goal and focusing on it is the first step to achieving it. The rest is focus, hard work and determination. Sir Dave Brailsford talks about marginal gains – the process of analysing your performance, your tools, your mental preparation in order to find 1 or 2% you can improve because when summed together, you achieve more. With Wiggins it’s this feeling and belief that doing something extra, something above and beyond what his competition is doing which gives him his edge. Find the things that give you the edge in what you do. The positive energy this brings is worth more than it’s weight in gold to achieving your goals. Dr Steve Peters has generated a lot of interest in his chimp theory and for some this works, providing an anchor to rationalise what goes on inside. Sir Bradley found a different anchor, his kids. What’s key is you find a way to rationalise what you’re going through, albeit through an object or a person. It will help you contextualise what you’re going through, helps you put perceived obstacles to bed and keep focussed on achieving that goal. Achieving a goal isn’t easy and you can go through a whole load of emotions. Being on top of your game both physically and mentally is necessary to achieve. It’s perceived to be easier to focus on the physical preparation, because the results are tangible – “I’m fit enough to do this”. Without focus on the mental preparation, you’re leaving 80% of your ability untapped. So don’t focus on just the easy stuff (this is where a coach like me comes in handy). Often in pursuit of a goal, there are others after the same thing. Sir Bradley shows how by being mentally and physically prepared and believing in this preparation, he didn’t have to concentrate on whether he had the ability to achieve his goal. He was able to retain his awareness on his surroundings, his competition, and act and react appropriately to put them off their game and keep focussed on his. 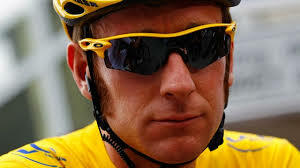 Sir Bradley says it all really. When he’s in business mode, he’s not thinking about what the world thinks, he’s focussed on doing what he needs to do to get the job done. He’s not making excuses, he’s not doubting himself. He’s believing in his preparation, his tools and himself, and it’s all about executing that plan with a needle-like focus in that moment where his goal is within reach. As I said, a pretty good article which explains some of what it takes to get to #1. If you found this blog post useful or know someone it could be of use to, share it with a friend or colleague. Send the web address above, or head to Facebook, Twitter and LinkedIn. While you’re there, Like or Follow the page for regular updates on future posts.